The Radtech PencilClipz is a simple accessory designed to provide a secure storage point for the pencil when the iPad is not in use. Much in line with the philosophy of one task done well, the simple plastic insert slots into the lightening port of your iPad Pro to provide a clip into which the pencil can be held. 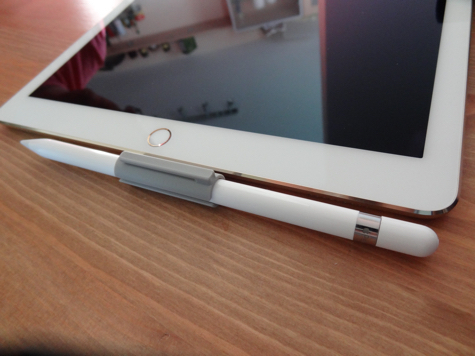 The clip is attached to the lightning port on the iPad via a simple plastic tab that slides into place with a satisfying fit. 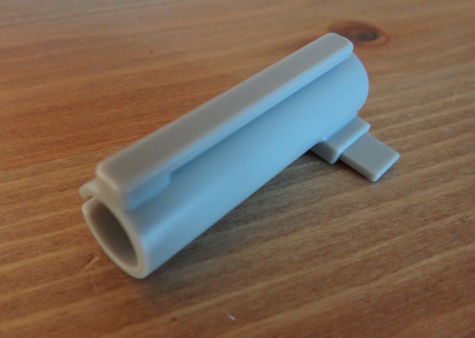 Constructed from grey plastic this is a functional item designed for function over form. Whilst it will not win any design awards it does exactly what it was designed for: securing holding the expensive apple pencil. The PencilClipz performs best when the iPad is not in use as a secure storage point to prevent the pencil from rolling away. Although small it does block the bottom of the iPad from being held comfortably in either portrait or landscape mode, thus it is not really intended to be deployed when the iPad is in use. I have found myself using the PencilClipz as the overnight point of storage for my Apple Pencil and for transporting the pencil when walking around the office – situations in which the iPad would not be in a case. The accessory is not compatible with snug cases due to adding 2-3 cm to the vertical dimensions of the iPad, but it might well fit acceptably in more spacious cases. I have found this not to be an issue as the stretchable RadSleevz protective sleeve is perfectly complimentary for this purpose. My major concern on first fitting the PencilClipz to my iPad was that the plastic connector might snap and block the lightening port. Through manipulation I have found the holder to be sufficiently durable and flexible to remove this concern; even when wiggled there are no signs of distress on the plastic. I would be wary of more significant torque if the pencil snagged on an object though. Overall the PencilClipz is a functional add on that is suitable if you are prone to misplacing your Apple pencil or need to make sure it is safely stored when the iPad is not in use. 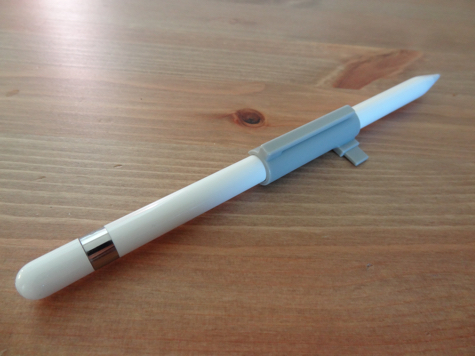 Solidly designed and constructed the PencilClipz will hold the Apple Pencil securely until it is time to use it again.